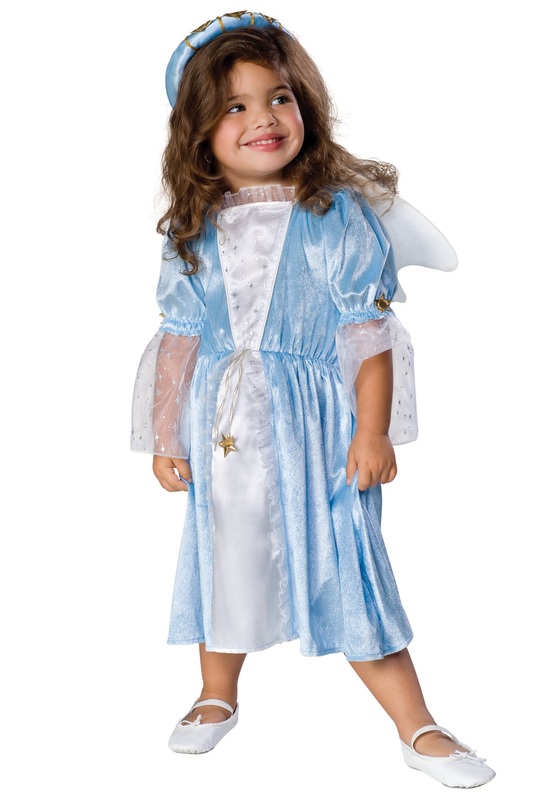 Your child will feel absolutely heaven-sent while playing dress up in this Blue Toddler Angel Costume. She can pretend to be a Renaissance queen, a beautiful angel, or even a fairy princess. It's up to her, and how she feels when wearing this beautiful blue dress!